Nethermined returned to Newcastle this weekend for its 3rd outing in the city and we were offered complimentary tickets to attend as a family. The boys were more than happy, to say the least! At the Minecraft convention known as Nethermined, Minecraft YouTubers entertain the crowds with panels on 2 stages, some live gaming, a small number of hugely popular workshops, some retro games and merchandise stalls. Nethermined 3 took place on February 11 at Northumbria University Student Union and promised to involve Live Minecraft gaming sessions, on stage competitions involving audience participation, Q&A Panels, Educational Panels, as well as meet and greets regarding the Minecraft / YouTuber experience. Both boys were really looking forward to going to what would be our first Minecraft convention. It sounded really fun and some of their friends from their Code Club were going too. 1. Exciting - the boys were excited to get their picture taken with gamers they'd seen on YouTube and getting the autographs of people they didn't even know or had heard of but they loved it. 2. Educational - experts were on hand to help and advise on playing Minecraft. The boys usually play on a tablet but learned to play more on a PC and also had the opportunity to play via an Oculus Rift - virtual reality hardware. 3. Entertaining - my boys were very happy to sit on beanbags waiting patiently and then watching gamers do their thing and play games live on a big screen. Add to that the opportunity to play video games all day long and that makes for two happy little boys. 4. 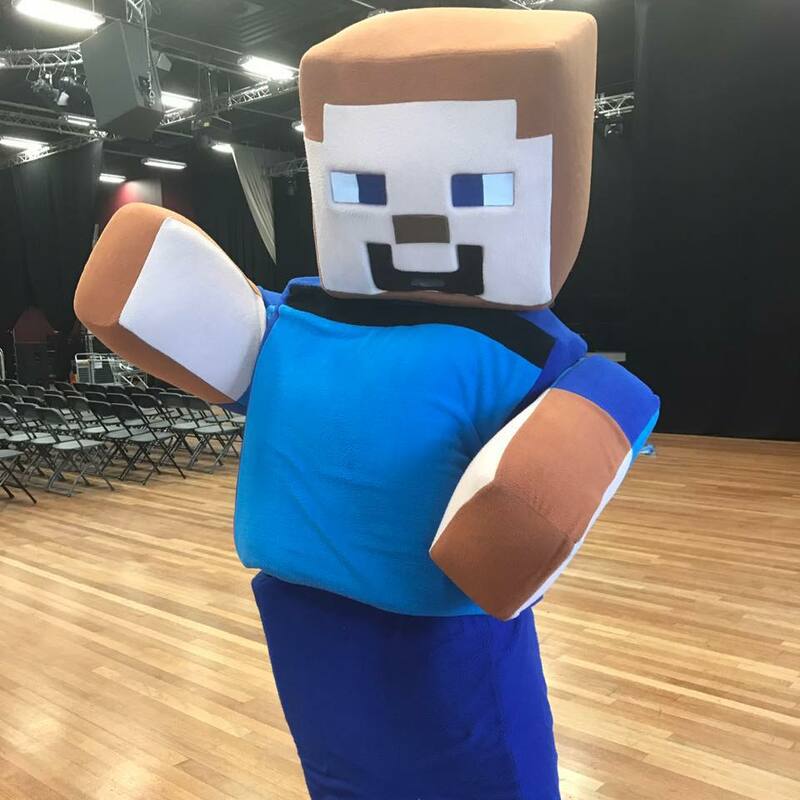 Fun - just being in a big room with lots of other Minecraft fans was exciting for them. So much merchandise and clothing being worn. They also played games yet to be released and made new friends sitting on those bean bags. 5. A shopping paradise - as a parent of two boys who rarely want to spend any money on anything other than football cards and sweets - it was really lovely to see them browse, check out prices, discover what was available before making a purchase - we came home with Pokemon balls, Minecraft guns, cuddly squid and the coolest sunglasses ever. 1. Confusing - Minecraft that is. In my day we worshipped pop stars and footballers - these days it is all about watching teenagers play games online. 2. Busy and slightly chaotic - the venue is split over two floors and there are PCs and Minecraft merchandise everywhere. There could have been more directional signage but we managed to find our way around. More seating near the workshop area would also have been welcomed. There were some technical difficulties on the day, especially at the beginning which delayed the opening ceremony, there were some grumbles from parents, but the kids did not seem to be phased one bit! 3. 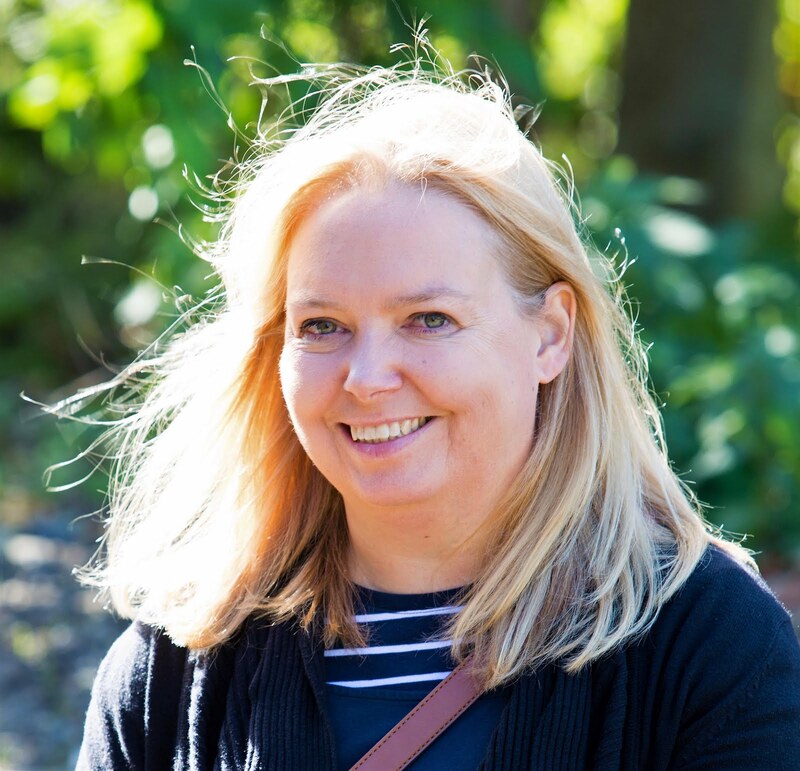 Tiring - There is a lot going on, many different activities including live talks, Q&As and demonstrations, and workshops and also many things as a parent that you can learn - both about the game and its educational attributes. 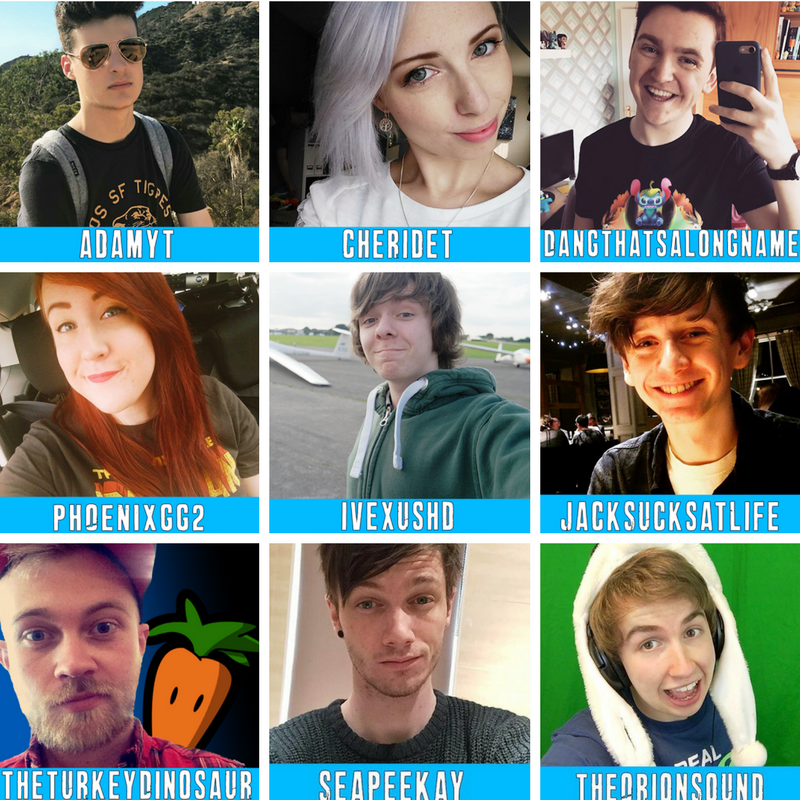 But also the names of the YouTubers who don't look that much older than my boys! 4. Informative - Minecraft has lots of good things about it and there were Adult Educational sessions running for the parents so that we could learn about what Minecraft brings to children from an educational standpoint. Minecraft is so much more than just a game kids play for hours on end! 5. A delight - just imagine the feeling of being somewhere new, experiencing something different, and seeing your children with big smiles on their faces. Because that was my experience of Nethermind! All in all my boys aged 7 & 9 thoroughly enjoyed their day. Met new friends, learned new things and were happy to find something different to spend their pocket money on. At £30 per person for a VIP ticket (entitling you to gain entry one hour earlier to meet the YourTubers and a goody bag) or £18 for a standard ticket, it is not a cheap day out but as a special occasion, birthday present or treat then Nethermind can provide a fun-packed day out that the kids will love. 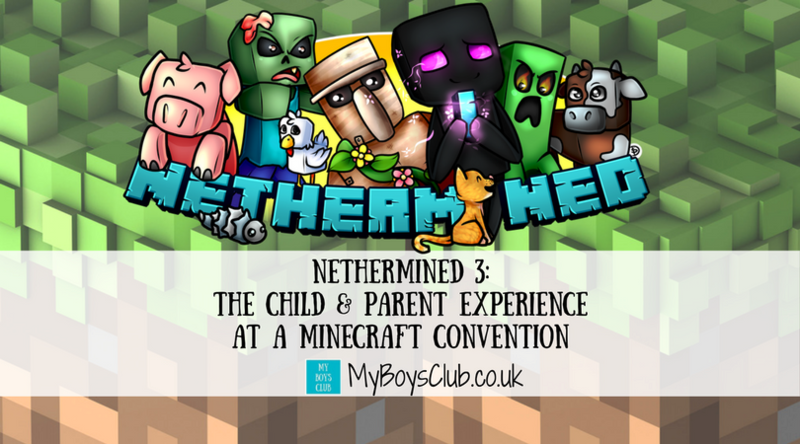 I hope Nethermind comes back to Newcastle, however, I think many of the above points will be applicable to many Minecraft conventions and events! What are your thoughts about Minecraft? This sounds like something my kiddos would LOVE! I'm in the states and not sure if we have one like this( they just got into minecraft). Do you know where I could find more info? I find Minecraft great fun. I haven't had time to play since I had my daughter but it is better than Grand Theft Auto isn't it! Sounds like a great day - my husband(!) would love this. He spends ages watching minecraft and other games on YouTube because he doesn't have as much time to play them himself with a baby. I'm pleased you had fun - we loved it too and think it was their best event yet. A lot went over my head but as a parent, it's lush to see your kids so excited and involved in something. Looks like you all had a great day! I love minecraft as do my 3 boys! Ah mine craft! My 7 y/o step daughter watches people play this on YouTube - I always find this bizarre but she finds it odd that I watch people clear out their wardrobes! !